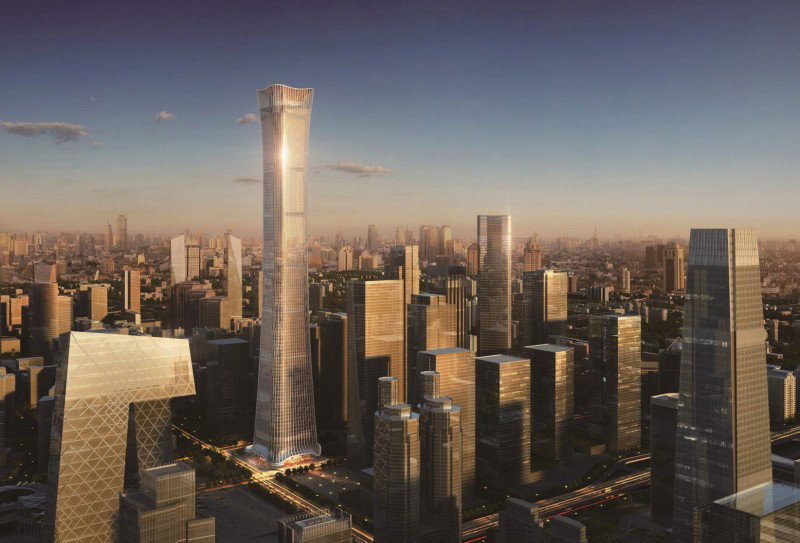 Nearing completion in Beijing, the China Zun tower will be the tallest building in the city, acting as a cultural icon within the Chaoyang central business district. Designed by Farrells for CITIC in collaboration with KPF, the tower’s design draws inspiration from the zun, a Chinese artifact traditionally used for ritual purposes. At 528 meters high, it is is the fourth tallest building in China and the eighth tallest in the world. Another landmark project within Farrells portfolio of supertall buildings which includes KK100, the tallest building in the world by a British architect in Shenzhen.